Former Prime Minister and Defense Minister Ehud Barak tells judges on case of Elor Azaria not to be afraid of right-wing agitation. 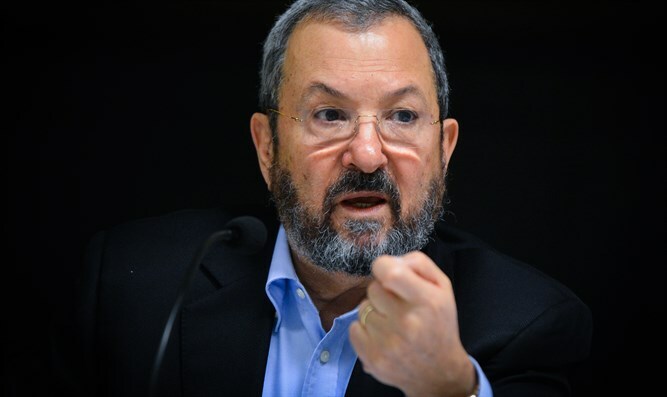 Former Prime Minister and Defense Minister Ehud Barak commented this evening (Tuesday) on the expected verdict of the Elor Azaria affair tomorrow. Barak called on the judges not to fear street grumbling or "Leiberman the 'facilitator'". Relating to the investigation of Prime Minister Netanyahu, Barak tweeted that the investigators "not fear Bibi and the obfuscators - he is more afraid". "The time for courage has arrived. Judges - do not fear street grumbling or Leiberman the 'facilitator'. Investigators - do not fear Bibi and the obfuscators - he is more afraid. Media - Be Druckers, follow the money", he Tweeted. Azaria's supporters rejected Barak's remarks and recalled that Barak was responsible for abandoning the soldier Madhat Yusuf at Joseph's Tomb. "He would do better to remain silent at this time." The soldier's supporters also recall that in a past interview with journalist Gideon Levy, Barak said, "If I were a Palestinian at the right age, I'd join a rejectionist organization at some point". Chief of Staff Gadi Eizenkot referred to the affair this morning in a speech at a conference in memory of Amnon Lipkin-Shahak at the Interdisciplinary Center in Herzliya. "Men aged 18 are inducted and required to risk their lives performing tasks to protect civilians, and to attack the enemy. The confusion caused by the discourse...harms the army..."
The soldier's family responded to Eizenkot's remarks: "The night before the decision on Elor, and again the Chief of Staff finds a way to blatantly interfere. He says [Elor] is not the son of us all - the truth is, he is the soldier of us all. The Chief of Staff again denies the equation that we send our most precious to serve in the belief that he is in the hands of worthy commanders."